2x3 custom magnets 20 mil round corners makes your business messages appear genuine. This magnet remains affixed to the metal surface due to rounded edges. 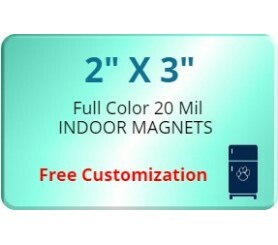 This made in USA magnet can be customized with slogans, logo and other contact information and gifted. Marketers who are tired of seeing clients stacking away their business information in wooden drawers or trashing them as nuisance can stay assured that this magnet is going to take them to places. 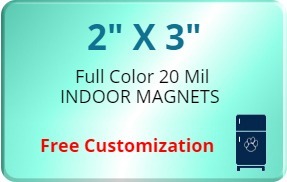 Request a quote to know price savings on bulk orders of this 2x3 customized magnets 20 mil round corners.